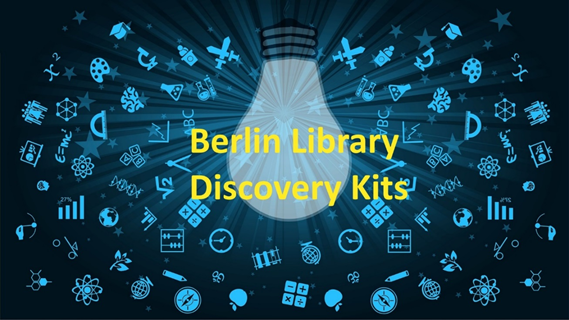 Brighten up with the Berlin Public Library’s Discovery Kits. These cool, hands-on devices will make learning feel like playing. Most of these kits are available for a 2 week checkout. Others are for in-house use or teacher/group use only. Please ask at the front desk or call the library at 920-361-5420 to reserve or checkout a kit. A parent or responsible adult must be present when one of these kits is checked out on a child's card. Adult supervision should be used for the use of these materials. This project was made possible in part by the Institute of Museum and Library Services 2019 – 247741 LSTA Connect & Create -251. The views, findings, conclusions or recommendations expressed in these kits do not necessarily represent those of the Institute of Museum and Library Services.